Capitalizing on the current uproar over "Beautygate," a phenomena with the iPhone XS and XS Max's front-facing camera that makes it appear there is aggressive skin smoothing filters applied to a self portrait, Jonathan Morrison took to Twitter and Instagram to share self portraits he claimed were taken on a different smartphone: the Google Pixel 2. The two images depicted Morrison in a vehicle and in a studio, with different lighting effects for each. While the Pixel 2 is identified as the smartphone that "took" the shots, there is no mention of Beautygate, iPhone, or other hardware by Morrison in any accompanying text, presumably to avoid directly asking followers to participate in a debate. 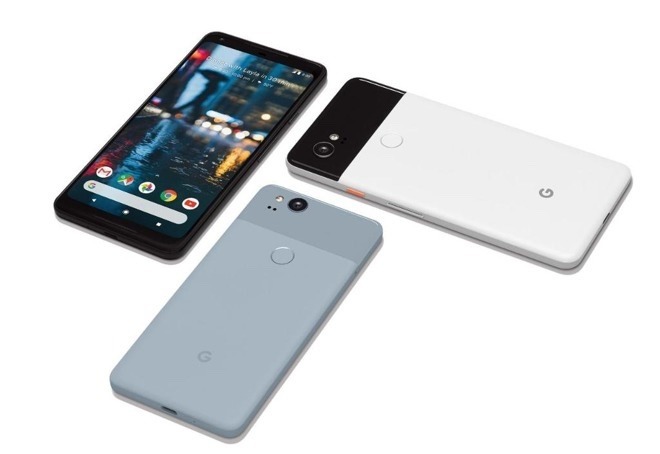 The comments shortly after the images were published were largely complimentary towards the Pixel 2, with some users praising Google's smartphone for its quality, and others adding it looked better than the iPhone XS Max. Others mentioned the lack of a "make-up effect," that it could easily be mistaken for a DSLR, it has the "best portrait mode yet," and the joke hashtag #nobeautygate. In a video published on Sunday, Morrison revealed the deception, confirming the images were actually taken on an iPhone XS Max. "So I just wanted there to be a lesson out there, don't let a preconceived notion or headline skew your judgement, because clearly everyone who thought that was a Pixel automatically assumed that it was much better than the iPhone," comments Morrison, continuing "when in fact that was the same iPhone XS Max that apparently had all of the Beautygate problems." Morrison goes on to recap existing analysis of the iPhone XS Max's front-facing camera, where it is performing a high level of noise reduction to the image, so high that it affects the appearance of a subject's skin, rather than the application of a specific make-up filter. The effect is also more pronounced in odd lighting situations, as the camera app could increase the ISO, which in turn increases noise, requiring more noise reduction. It is possible that Apple will be making changes to how the iPhone XS and iPhone XS Max's cameras perform filtering on images in a future software update, with AppleInsider sources confirming such activity is underway. For the moment, users should make sure there is adequate lighting before taking a selfie, if they want to minimize the effect.